We've heard Sony explain itself at length regarding the gigantic PlayStation Network breach, but this might be the most useful version of the story yet -- it's the one that Sony's Kaz Hirai is forwarding to US Congress members concerned about your personal information. The official PlayStation.Blog has the full English document up on Flickr for your perusal, and we'll warn you it's much the same tale -- Sony says all 77 million PSN and Qriocity accounts have had information stolen, but the company's still not sure exactly which pieces have gone missing, whether credit card numbers are compromised or not, or who could be behind the hack. Sony does say, however, that it had 12.3 million credit card numbers on file, and 5.6 million of them from the US, and that investigators found a file on one of the servers named "Anonymous" with the words "We are Legion" inside it. Hard to draw many conclusions from that. 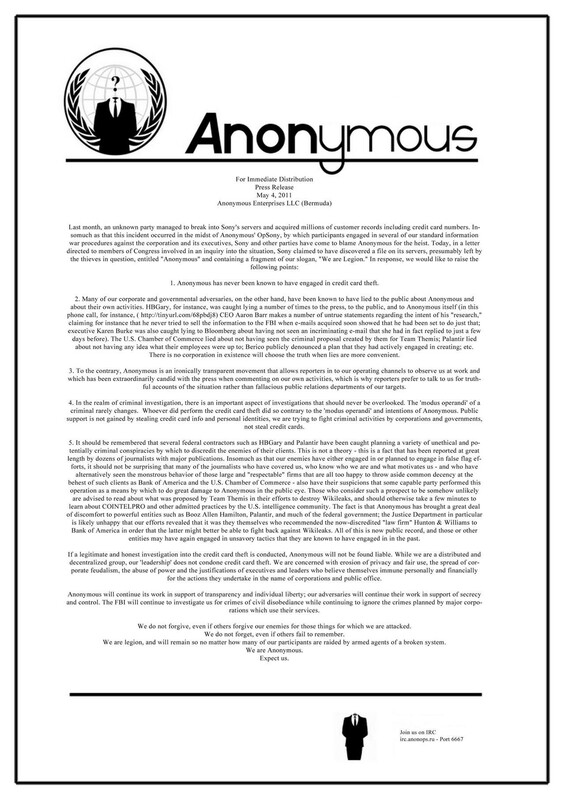 Update: Anonymous has apparently responded saying it "has never been known to have engaged in credit card theft."